Wow the corrupted blood card back is so amazing in both design AND concept, in my opinion. LIKED! 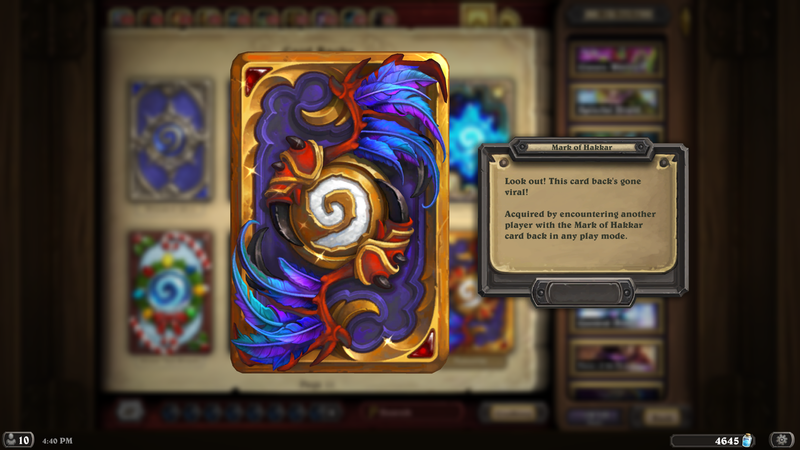 Dat Hakkar cardback... dayum! 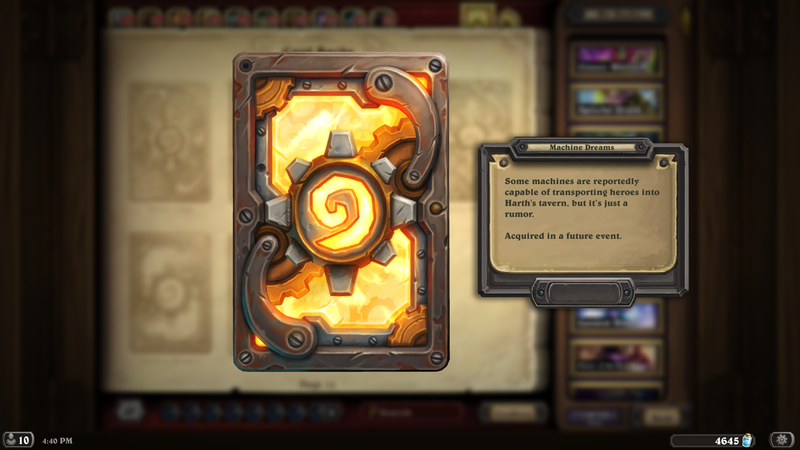 And the fact it's themed, like the card.... double-dayum! Or 80/80 for the dragon one. But they left Lich Jaina the same. 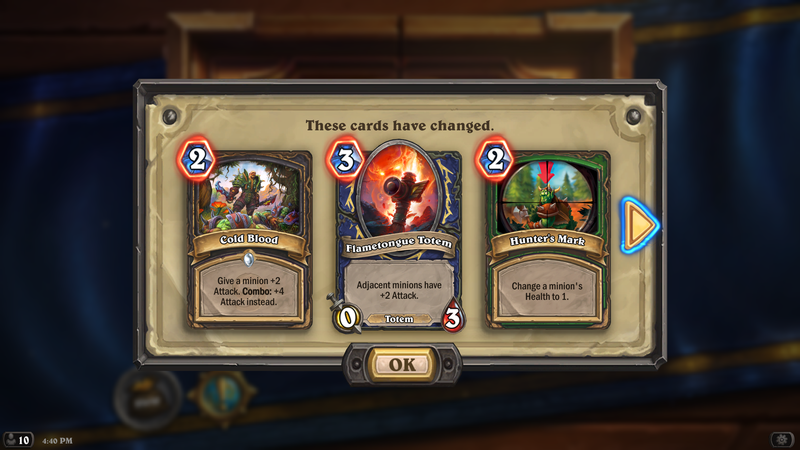 Blizzard consistency at its finest. The Lich King has his preferences, obviously. 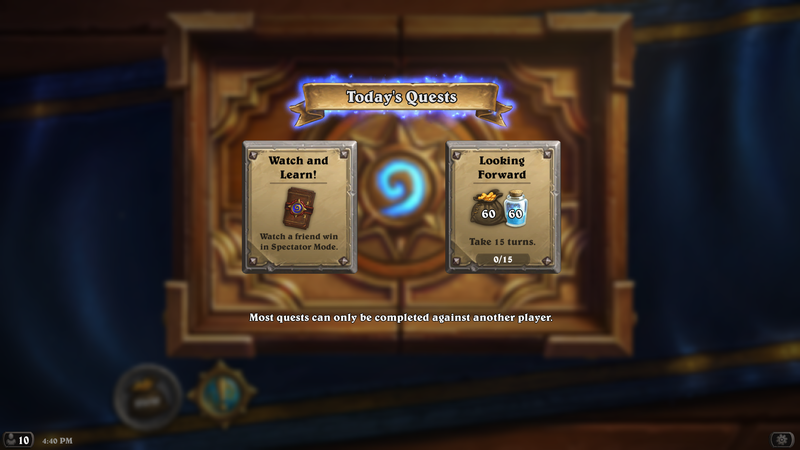 ok, so how do the first people get the cardback to spread it to the rest of us? or was all that not real? go in rated, your bound to find an infected player quickly. 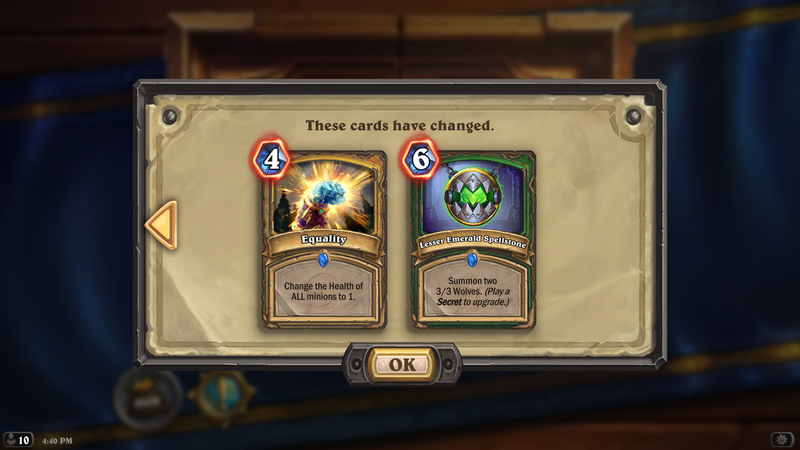 Mr. Blizzard is such a kind lad, free dust, free cardback, some dust for the nerfed cards (f.ex. golden or surplus cards). And remember...brace yourselves, April is coming. 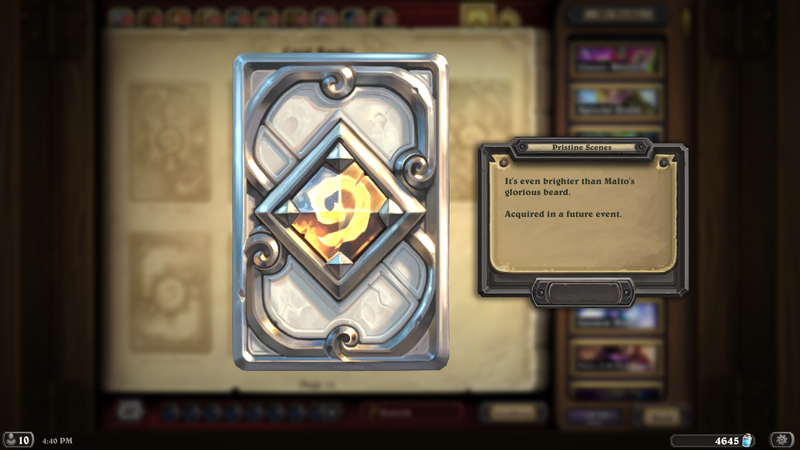 People will now intentionally lose to people with that card back so they would not resent haha. 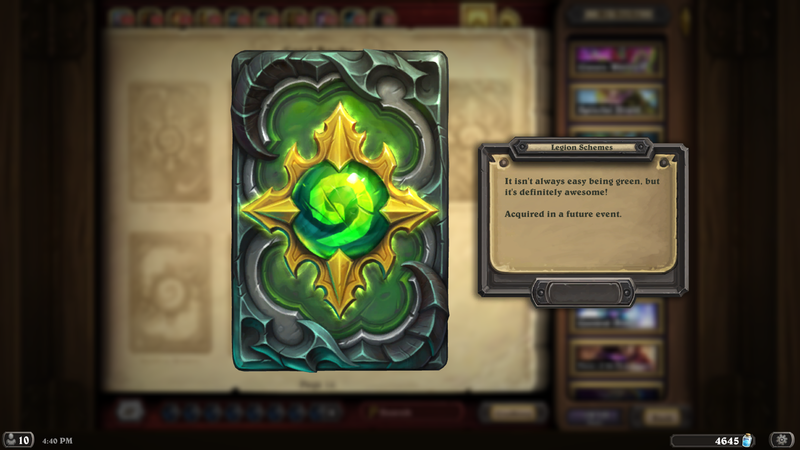 All the new card backs are wonderful and Legion one is indeed definitely awesome. 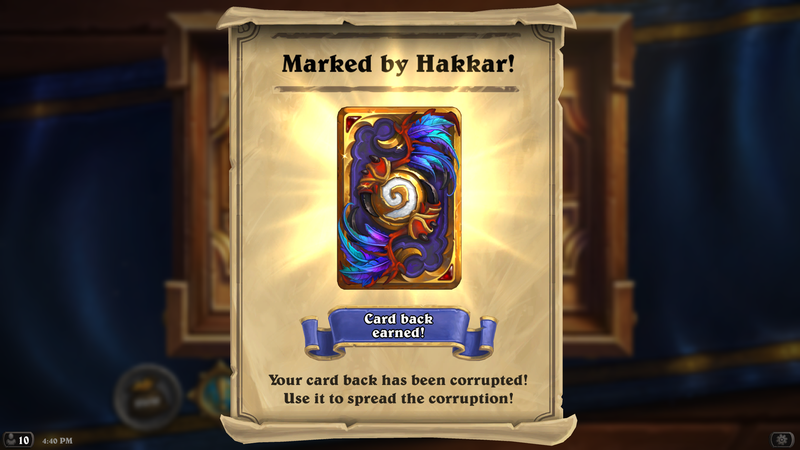 Got the Mark of Hakkar card back in my second game. And you? Guess it is practically everywhere at the moment.